JOHANNESBURG – A creative and dynamic duo have teamed up to tap into the multi-billion rand promotions industry in South Africa and create much-needed employment for young unemployed youths. Childhood friends Tshepiso Malefane, 27, and Tshepo Ngwenya, 29, who grew up together in dusty streets of the sprawling Soshanguve township in Pretoria, are co-founders and directors of promotions firm Creative Brands Studio. They established the company in 2014 and stress that since its inception it has grown from strength to strength. Malefane holds a business management qualification from the Tshwane South College, a short course in corporate development from the University of Pretoria, and another short course in acting from Face of Earth Foundation. Young entrepreneurs Tshepiso Malefane and Tshepo Ngwenya are co-founders and directors of the Creative Brands Studio. Ngwenya on the other side earned a national diploma in information technology: communication networks, from Tshwane University of Technology. He left his job at the Office of the Chief Justice where he worked as an IT technician to follow his dream of becoming an entrepreneur. Malefane and Ngwenya have worked for a number of companies between themselves, including Campus Communication, retail and trade marketing organisation Hamilton Bright, international retail solutions company Smollan, and advertising agency The Creative Counsel. Ngwenya says he was introduced to the idea to venture into entrepreneurship by Malefane. “I was invited by her to become her business partner. Initially, there were three of us. We did everything ourselves such as company registration, tax clearance, and stuff,” he says. She says that motivated them to push even more in their bid to get as many clients as possible. Malefane says they then clinched a deal to recruit promoters for Ola, Unilever’s ice-cream division, and have not looked back since then. In 2016, Creative Brands Studio received a call from Pete Gottgens, general manager of the five-star Asara Wine Estate & Hotel in Stellenbosch, Western Cape. “He wanted us to handle their in-store promotions. In a nutshell, he needed us to be the eyes and ears of the brand in Gauteng,” says Malefane, adding that she and Ngwenya also work as the hotel’s brand ambassadors in Gauteng. 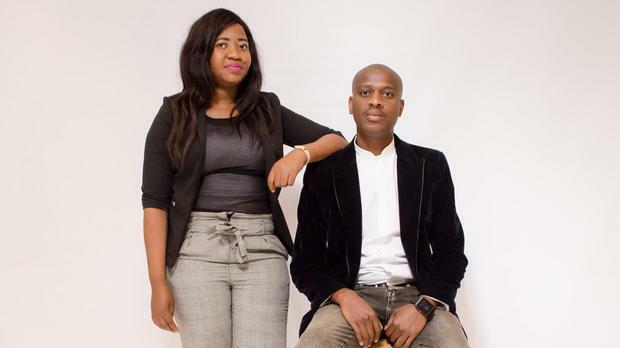 The dynamic duo plans to grow the company into a multimillion-rand firm in the next five to 10 years, by running brand activation campaigns across Africa. “Our dream is to not only be here in South Africa but to go to other countries and bring brands from those countries to South Africa,” says Malefane, whose entrepreneurial skill set were honed in the Tshepo 10 000 youth entrepreneurship programme in Pretoria. Ngwenya, who works from Pretoria, says what he loves most of their company, which employs 17 young people, is the fact that they are a 100 percent black-owned company, which they funded out of their own pockets. “We love promotions because it’s what we know best. If it was not for promotions, Tshepo would be in IT and I would be hustling for an acting job somewhere,” says Malefane, who is the company’s head of marketing. Ngwenya, who is the firm’s head of account, says what sets them apart from other promotions companies is the fact that they take product knowledge seriously. He says after an intensive short training their staff writes a test to gauge their knowledge of the product they would be marketing. Only those who score 85 percent and above are allowed to go on the field as they are deemed fit to represent the brand, adds Ngwenya.